We are a leading Service Provider of heat exchanger engineering services, boiler engineering services, pressure vessel engineering services, storage tank engineering services, static equipment designing and heat exchanger designing from Mumbai, India. Doing Local Load calculations for nozzles & supports as per WRC, PD5500etc..
We have emerged as leading service provider, engaged in offering a premium quality Boiler Engineering Services. These engineering services are efficiently imparted by our expert professionals by using their knowledge as per the requirements of customers. Offered engineering services are executed within a given time in order to achieve are reputation. In addition, we provide these engineering services at affordable prices to customers. Fuels such as Coal, Rice husk, Bagasse, Furnace Oil,Natural Gas, Ground Nut shell etc. Industries such as Sugar, Paper Mills, Fertilizer & Chemicals etc. With Combustion System such as Fluidized bed, Fixed bed, Dumping grate, Oil & Gas burner. In the Competitive Power Market adequate and economical power has become the necessity. Revamping of Boiler enables the growing number of Independent Power Producers (IPPs) to build, own & operate power plants. Our company is extremely involved in offering Pressure Vessel Engineering Services. These engineering services are carried out by our experts & fatigue analysis is done to calculate the fatigue life of pressure vessels. Our experts use modern techniques to render these engineering services. The offered engineering services are highly appreciated for timely competition & optimum satisfaction. Doing Local Load calculations for nozzles & supports as per WRC, PD5500 etc. Being a renowned organization of market, we are engaged in offering an utmost quality Storage Tank Engineering Services. We have skilled experts who provide best & strong storage tank for various applications. The offered engineering services are carried out using advanced techniques and completed within a given time frame as per the comprehensive requirements of customers. We are highly acclaimed for providing these engineering services at reasonable prices. We are actively engaged in offering an exclusiveStatic Equipment Engineering Services.We provide this engineering service with all the help of requisite tools and techniques as per their varied demands. 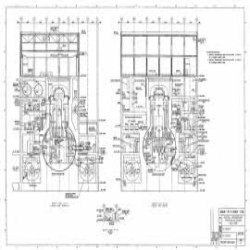 Moreover, this engineering service is carried out by our experts who experienced in design and analysis of equipments used in petrochemical/refinery industries. Customers can avail this engineering service from us at nominal rates in a promised time period. We are Leading Static Equipment Designing Service Provider. 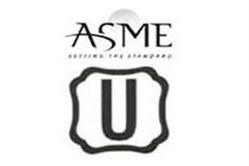 We are actively engaged in offering an exclusiveStatic Equipment Engineering Services. We provide this engineering service with all the help of requisite tools and techniques as per their varied demands. Moreover, this engineering service is carried out by our experts who experienced in design and analysis of equipments used in petrochemical/refinery industries. Customers can avail this engineering service from us at nominal rates in a promised time period. We are Leading Heat exchanger designing service provider. 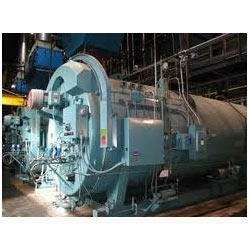 We are Leading Heat Exchanger Detailing Service Provider. We are Leading Heat Exchanger engineering service provider. 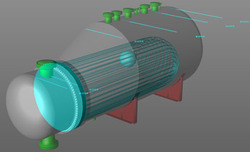 We are Leading Pressure vessel designing service provider. 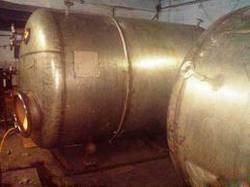 We are Leading Pressure vessel detailing service provider. We are Leading Pressure vessel engineering service provider. We are Leading Column designing service provider. 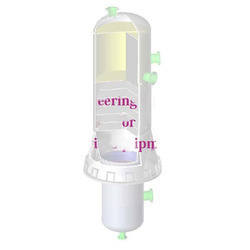 We are Leading Storage tanks designing service provider. We are Leading Storage tanks detailing service provider. We are Leading Static equipment designing training course. We are Leading Heat eachanger designing training course. 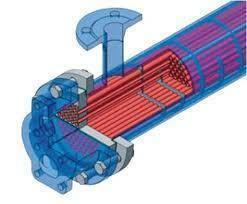 We are Leading Heat exchanger engineering training course. 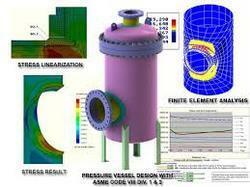 We are Leading Pressure vessel designing training course. We are Leading Pressure vessel engineering training course Provider. We are Leading Column detailing service provider. we are Leading Static Equipment Detailing service Provider. We are actively engaged in offering an exclusive Static equipment detailing service provider. We provide this engineering service with all the help of requisite tools and techniques as per their varied demands. Moreover, this engineering service is carried out by our experts who experienced in design and analysis of equipments used in petrochemical/refinery industries. Customers can avail this engineering service from us at nominal rates in a promised time period. We are Leading Static Equipment Engineering Service Provider. We are actively engaged in offering an exclusive Static Equipment Engineering Service Provider. We provide this engineering service with all the help of requisite tools and techniques as per their varied demands. Moreover, this engineering service is carried out by our experts who experienced in design and analysis of equipments used in petrochemical/refinery industries. Customers can avail this engineering service from us at nominal rates in a promised time period. We are leading storage tanks engineering service provider. We are Leading Static equipment Engineering training course. We are actively engaged in offering an exclusive Static equipment Engineering training course.. We provide this engineering service with all the help of requisite tools and techniques as per their varied demands. Moreover, this engineering service is carried out by our experts who experienced in design and analysis of equipments used in petrochemical/refinery industries. Customers can avail this engineering service from us at nominal rates in a promised time period. 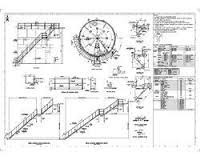 We are Leading column engineering training course. 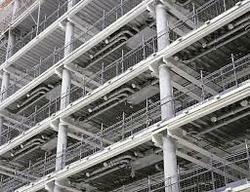 We are Leading Column engineering service provider. We are Leading U stamp service provider. We are Leading Column designing training course. Looking for Static Equipment Engineering Services ?